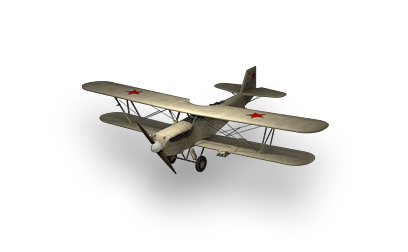 This is the first plane the player will have in game and tier one Russian multirole fighter. It is a good starter if you feel the other planes maneuver too slowly for you. It has more health than the Type 91 which makes it more survivable. It also has the most machine gun damage in tier 1 and the only one who can compete with this is the Ar 65 with it's high ROF. 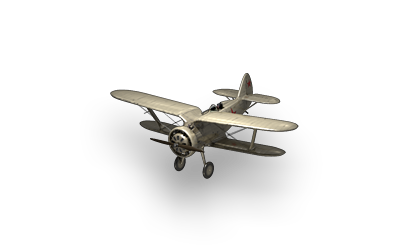 It's main downfall is this plane is that it's average in all other things against other plane and you should know the advantage and disadvantage of your plane against others and use it. They are very light and are easily beat. No head on's with this one but when using it, new player should be careful when going for head on because the chance that you can't kill your target is high and you will end up with ramming the enemy,it is recommended you practice the head on in battle against bots to have more chance to survive. Agility is the advantage you have here so use it. If you plan to carry rockets, always use it before going to dog fight because it will effect your maneuvering. The I-5 is a good example of what's to come in the low tiers: minimal protection, decent speed, low altitude but high maneuverability.